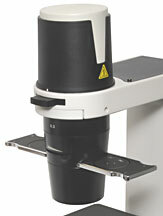 The AE2000 value series of inverted microscopes provide excellent mechanical and optical quality. The Color Corrected Infinity Optical System (CCIS®) maximizes optical clarity and future expansion of the AE2000 inverted microscope at any time. 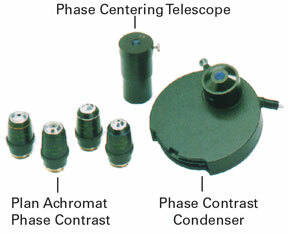 The AE2000 design has the capability for phase contrast microscopy for which many optional accessories are available. 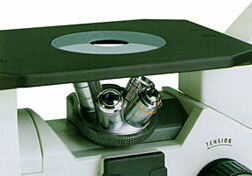 There is a choice of a binocular or trinocular AE2000 microscope. 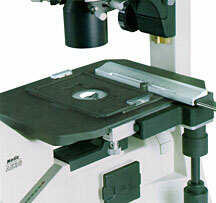 The trinocular microscope allows for adapting video and photo cameras. A complete range of eyepieces and objectives is available to configure the AE2000 for your application: all options are shown on the Motic® AE20 and AE21(previous model) Microscope Systems Diagram. 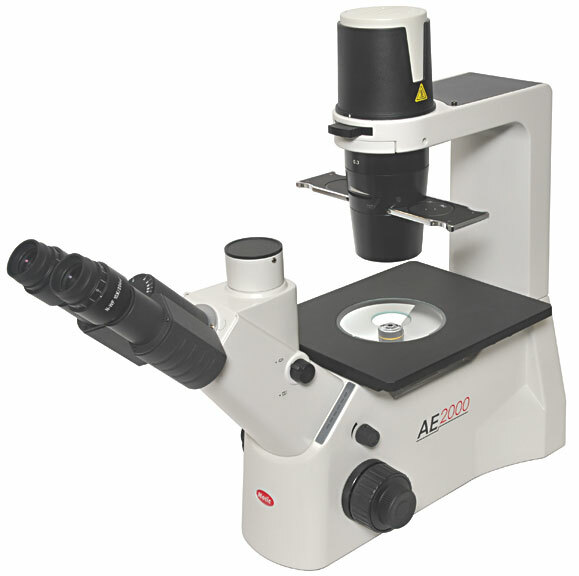 The stand of the AE2000 inverted microscope provides excellent stability and enables easy and stress free operation. Control for focus, light intensity and the optional mechanical stage are easy to reach. The AE2000 microscopes feature a class leading 6V/30W quartz halogen illumination system providing bright and even illumination at any time. 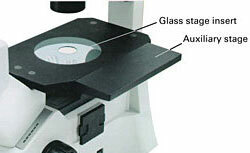 A LED light intensity indicator is conveniently placed at the side of the microscope body. The pre-centered system comprises a removable condenser allowing for flasks and Petri dishes as high as 180mm to be accommodated on the stage. The inclination of 45° for the Siedentopf binocular and trinocular tubes is chosen for comfort and posture management. The trinocular versions feature a professional light distribution slide with 20/80% for binocular/photo. The trinocular head is ideal for digital documentation and video projection. 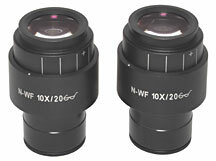 The standard Wide Field high eye point 10x eyepieces for the AE2000 provide the large field of view of 20mm. Users wearing eyeglasses will find the eyepieces' high eye point design very comfortable to use. The revolving side facing nosepiece accepts four objectives. The precision ball bearings and the click stop centering ensure that the image remains centered after each change in magnification. The components and the optics are sealed against accidental fluid spills. The CCIS® E Plan Achromat objectives for inverted microscopes have long free working distances in comparison to normal objectives of the same magnification and provide easy routine operation. RMS thread. Phase contrast is the most popular optical contrast method for viewing the detailed structure of unstained or living specimens. The E Plan Phase Achromat objectives, coupled with a simple phase slider, provide outstanding contrast for demanding applications. For a quick and easy change of magnification, a centerable annular ring is provided for 10x and 20x phase objectives in the phase slider. The center position on the slider is designated for bright field microscopy. The integration of the AE2000 Trinocular microscope with the Moticam® series of digital cameras delivers crisp video images. All Moticam® cameras come with software to transform the AE2000 into an analysis and documentation station. 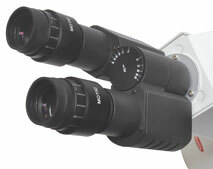 With USB 2.0 output to the computer, the system provides high resolution imaging in both real-time and capture modes. Should you choose a Motic® or third-party camera, Motic® provides a range of C-mount adapters which are necessary for trinocular port attachment. Use of a traditional SLR style camera requires a trinocular version of the AE2000. 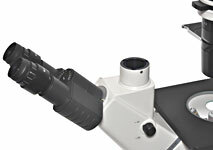 A mechanical T-mount adapter combined with a photo eyepiece (2.5x or 4x) must be fitted to the microscope.